How do I become a member of Summit Chorale? How much does it cost to be a member of Summit Chorale? There are several things that you will need to pay for in your first year of membership, after that, the main things you will need to pay for will be membership dues and the cost of your music. Here is a breakdown of costs you can expect. What if I’m unable to afford membership dues and/or music fees? It’s important to understand that Summit Chorale is a non-profit organization and relies on these funds to help cover its costs. Monthly payment arrangements can be made to help balance your budget. Please contact the Treasurer or President to discuss this. How many concerts does Summit Chorale have each year? 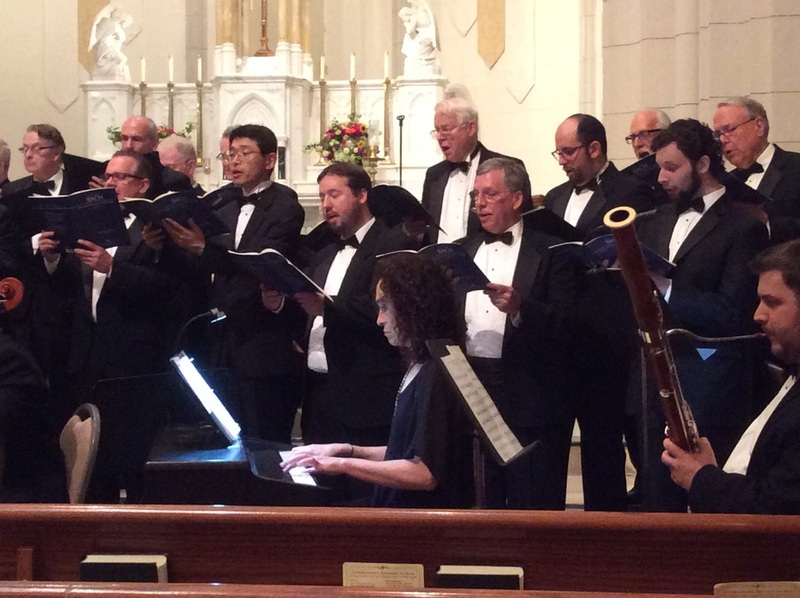 We typically have 4 concerts each season, on Fridays or Saturdays in November, December, early spring and late spring. What do I have to wear at concerts? Gentlemen wear tuxedos, details can be found in our Membership Handbook. Ladies wear a Summit Chorale sanctioned dress. Contact your section leader for markings and notes given during the rehearsal prior to the next rehearsal. If you will miss a rehearsal, please send an email to membership@summitchorale.org. Dress rehearsals are mandatory, unless arrangements (with as much advance notice as possible) have been made with the Artistic Director.